This page is about WH audio system. WH is one of my college friends. We shared quite a number same interest and hifi is one of them. Above is WH audio system temporarily setup on the 2nd floor living room. This picture was taken quite some time ago and I’m not sure if he’s still with the same setup or not. When I had the cravings for coaxial speakers, I managed to acquire a pair of Soundcraftsmen 2640TX speaker driver from eBay. It is one of the many pairs of coaxial speakers I got previously. 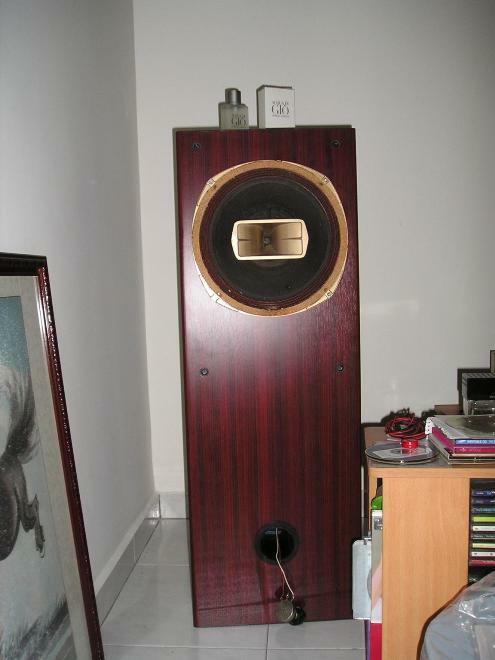 I had the Tannoy DCC 3839 & Altec Lansing 604D at the same time too. 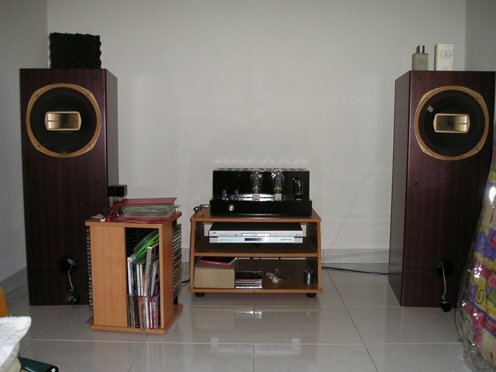 Now must of them are gone and the last one standing is the Tannoy Monitor HPD 385 coaxial speakers. The horn tweeter actually looks like duck’s beak or bill, don’t you think so? It’s kind of cute, hahaha! The Soundcraftsmen 2640TX speaker driver was rumored to be the same quality as the famous Electro-voice 12TRXB coaxial speaker. The speaker driver is made of paper and uses treated pleated cloth surrounds that last forever, with a whizzer cone and an aluminum horn tweeter in the middle. The speaker driver chassis is quite solid too as it is casted instead of stamped. It comes with a simple potentiometer connected to a 2 uF capacitor, acting as a crossover for the horn tweeter. The bass driver is driven directly. I could not find the specifications for the Soundcraftsmen speaker driver on the web. If anyone has a copy of it, please send it to me. It would really be appreciated by the DIYers worldwide. When the magnet cover is removed, it seems like an alnico magnet! Below is the T/S parameter stated on Audio Asylum, captured by a fellow DIYer. 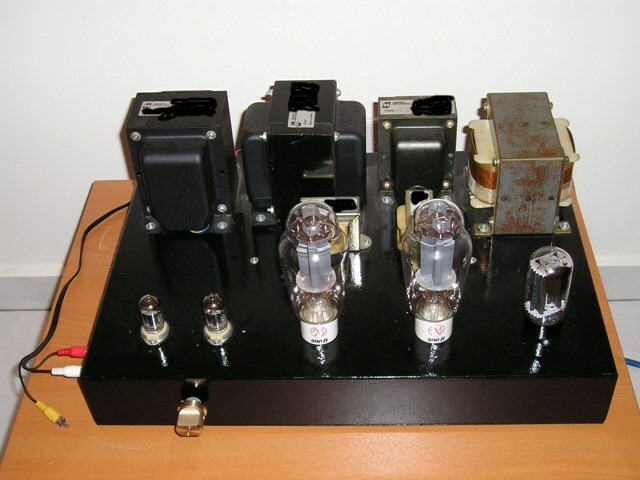 WH's 300B amplifier - based on Carmen.